Those who are interested in comics are mainly young people in Lithuania. Older people look at comics with scepticism, it reminds them of Donald Duck adventures, that were printed in Soviet times. Maybe that’s why they see comics as a primitive genre, targeted mainly at children. Strange, because at the same time, in Soviet period was regularly published also a political satire magazine “Šluota“ (Broom), in which adult comics and caricature genre was seriously developed. After the collapse of the Soviet Union and closing “Šluota“ comics culture in Lithuania largely was forgotten, kept alive only by few individual enthusiasts. Situation started to change about a decade ago when youth, returning from abroad, started to bring and spread comics after learning about popularity of comics’ movement. At that time web portal komiksai.com was started. It united comics’ creators which up until then were drawing mostly in the underground. Komiksai.com also were gathering archival materials of what has been published in Lithuania, were doing reviews of foreign comics publications. At the similar period alternative comics’ culture also saw some boost: zine publications, comix blogs, cooperation with the movement abroad. Lithuanian publishing houses also started producing mainstream foreign comics. However, those were largely casual attempts without clear strategy and continuation. With another wave of interest in comics, “Kitokia Grafika” was established (2011). Part of its members are drawing comics, part are organizers. It is not a very formal organization with clear divisions; it seeks constant cooperation with various people and groups. 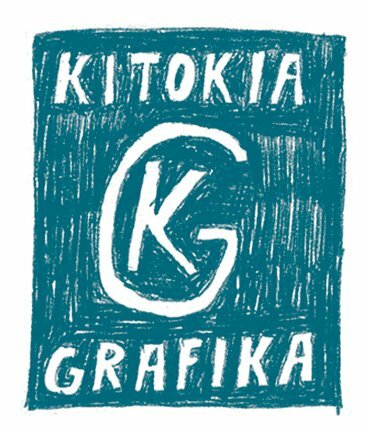 “Kitokia Grafika” sees the gap in Lithuanian comics culture and therefore seeks that more people would discover comics and possibly change their attitude, would give a second thought beyond existing stereotypes in Lithuania. Its goal – develop comics’ culture in Lithuania and beyond together with other enthusiasts. In the wide range of activities of “Kitokia Grafika” are also comics exhibitions, publications, library and workshops.